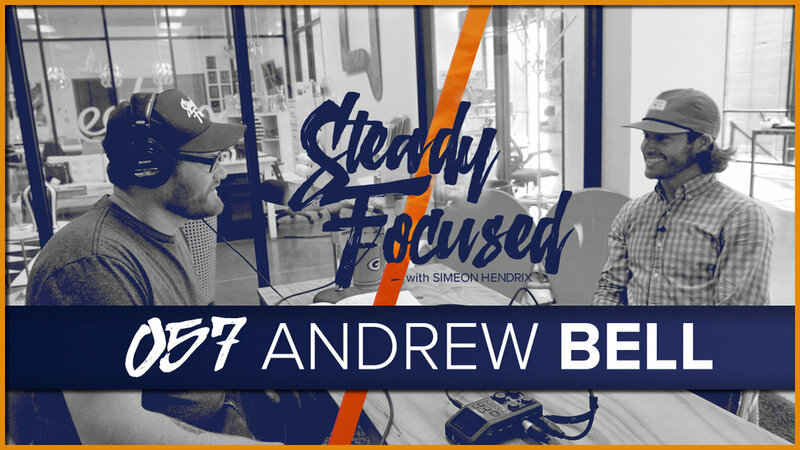 Lead designer at Hoegger Communications and the creator of the outdoor / lifestyle brand, AndyB Apparel, Mr. Andrew Bell interviewed on Steady Focused. In this episode, I set down with one of my heroes, mentors and dear friends. In all honesty, this man has directly influenced my maturation as an artist perhaps more than any one other person. For nearly 5 years I worked intimately alongside Mr. Andrew Bell. Not only is he the powerhouse lead designer for the award winning advertising agency Hoegger Communications, he's also the creator of the adventure / outdoor lifestyle brand AndyB Apparel. He's prolific, humble, determined, intelligent, loving, fierce, a leader, a pillar - he's a master and has influenced and encouraged me tremendously. Please, help me give a big Steady Focused welcome, to my friend Mr. Andrew Bell.